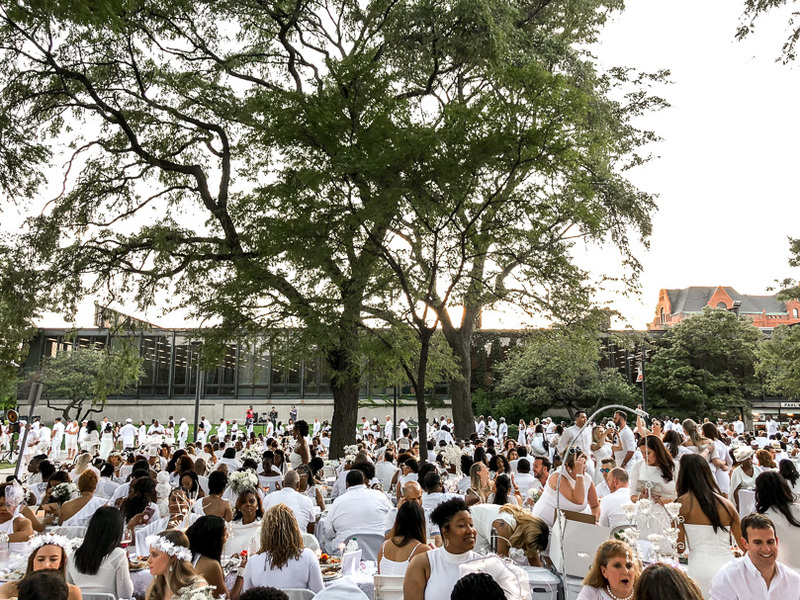 Dîner en Blanc Chicago is the pop-up picnic event where everyone and everything is dressed all in white. 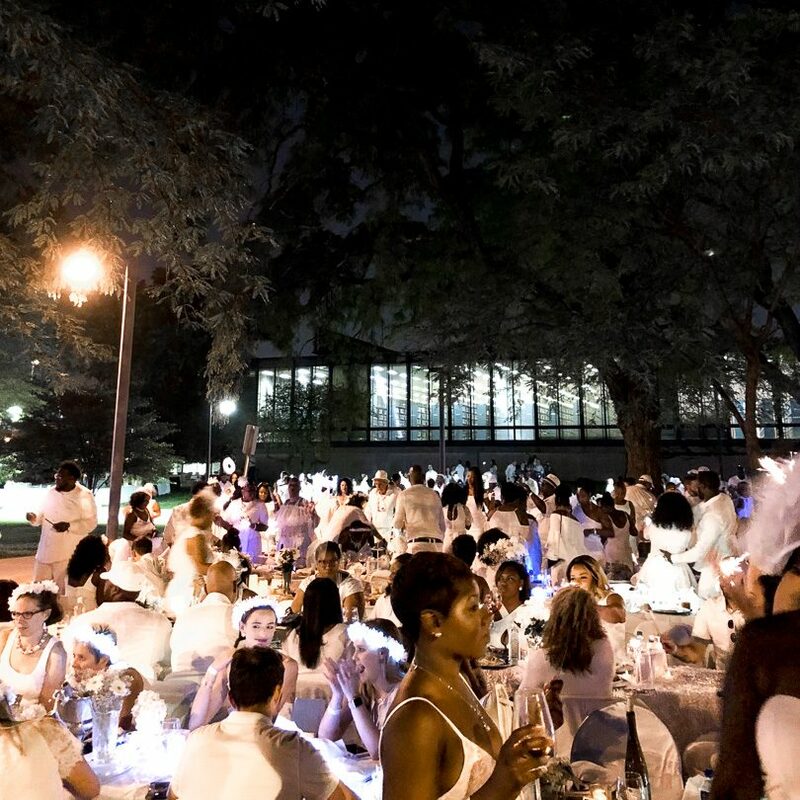 It takes place at a different location each year, and for ours in 2018 it was held at Siegel Field on the IIT with S. R. Crown Hall serving as the backdrop. 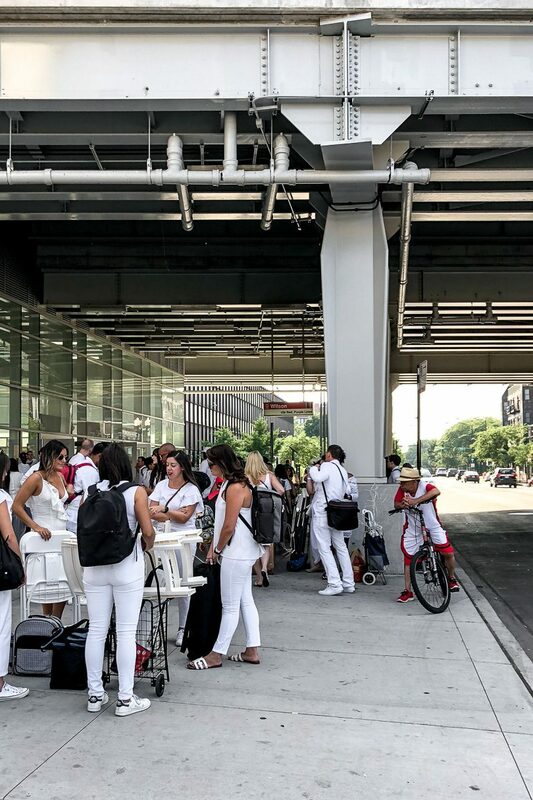 At first, you feel entirely conspicuous making your way through the city wearing white and schlepping a fair amount of gear. 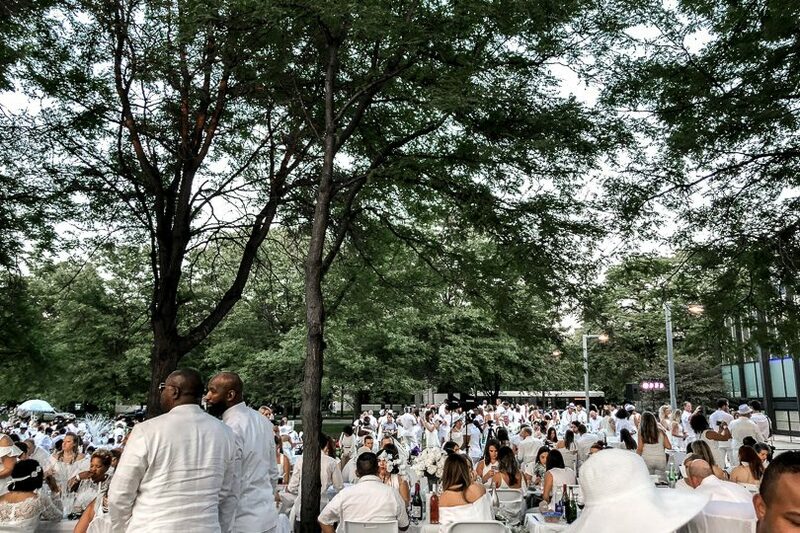 As more people gather though, the ones not dressed head-to-toe in white seem the odd ones out. We kind of overwhelmed the L as we made our way to the still unnamed location. 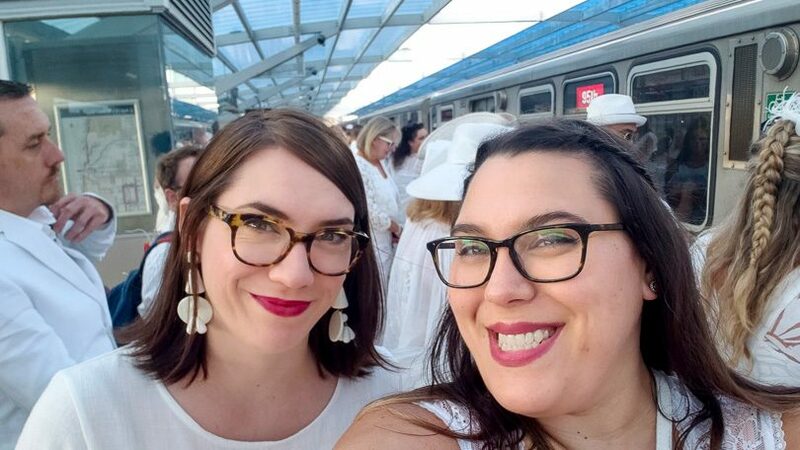 We took the red line to 35th, and everyone guessed it was Comiskey for the location, while I quietly offered “IIT?” One of the leaders heard and without confirming I was right, asked what the significance would be. 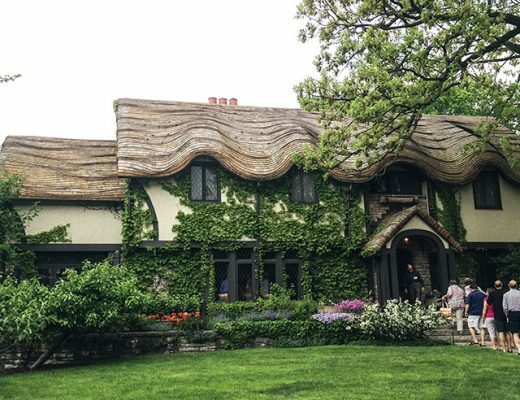 I said that it was architecturally important and beautiful, but that I had no idea what the connection to DEB was. Turns out it was because “the architect” (Mies van der Rohe) “liked to design with grids, and we were lined up in grids with our tables!” Oh. OK? It was a fun evening, but that explanation was a bit of a stretch. 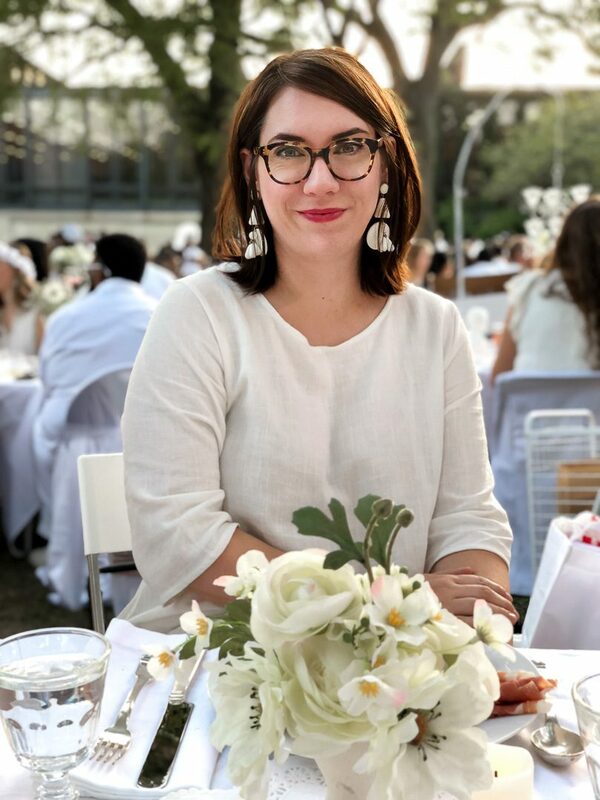 Also, 2015 saw DEB at Mies’ Federal Plaza (arguably a more photogenic backdrop), which further highlighted the connection. My sister and I agreed that it was far easier to participate the second time around. We kept thinking ‘this is so easy!’ as we transported everything because last year it definitely wasn’t! The biggest changes: we used a lightweight roll-up camping table instead of a folding table, we used a collapsible rolling crate instead of bags strapped to a luggage cart, and the table decorations were simplified. I loved my dress. I sent a photo to my sister when I got it and she basically said ‘you do you’ but said she liked it a lot better when she saw it in person! Ha. I bought it with the event in mind, but I’ll wear it long after. It’s got that oh-so-flattering Teletubbies silhouette I’m into. Dinner, dancing, sparklers, and a beautiful setting. There was even a wedding! 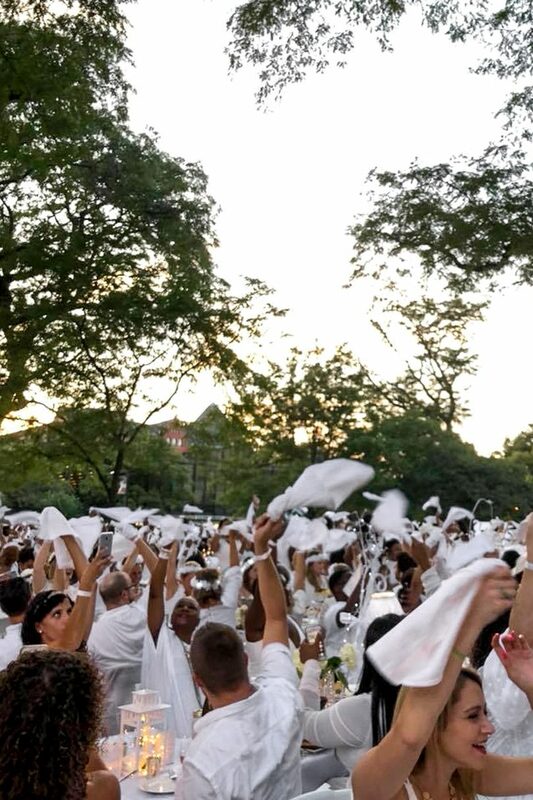 Dîner en Blanc is basically a fancy picnic with a DJ, but the color palette and mystery location each year makes it special. We’re already thinking about what we’ll do next time! 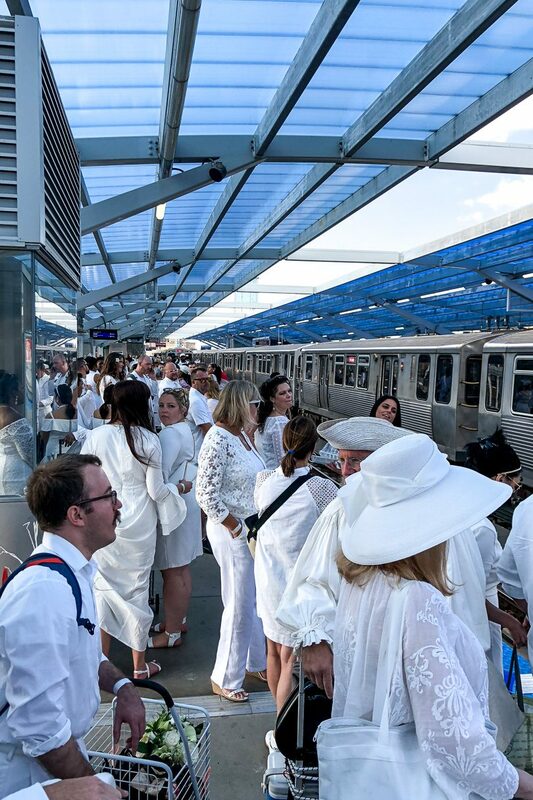 I was getting off the red line at Belmont and saw tons of people in white heading to the station to get on. Such an unusual and cool sighting in the city! You and your sis are the cutest! Love your earrings! As to the Teletubbies dress…have you seen pics of fashion week lately?! Little House on the Prairie plus Dad sneakers! Shakes head. Your linen shift (with pockets!) is lovely. I would love to attend an event like this, I think it’s very good. I was inspired. I bought your teletubbies dress in black and it’s so fantastic three other women in my office are buying anysize amazon dresses today. Tinky-winky-chic FTW!